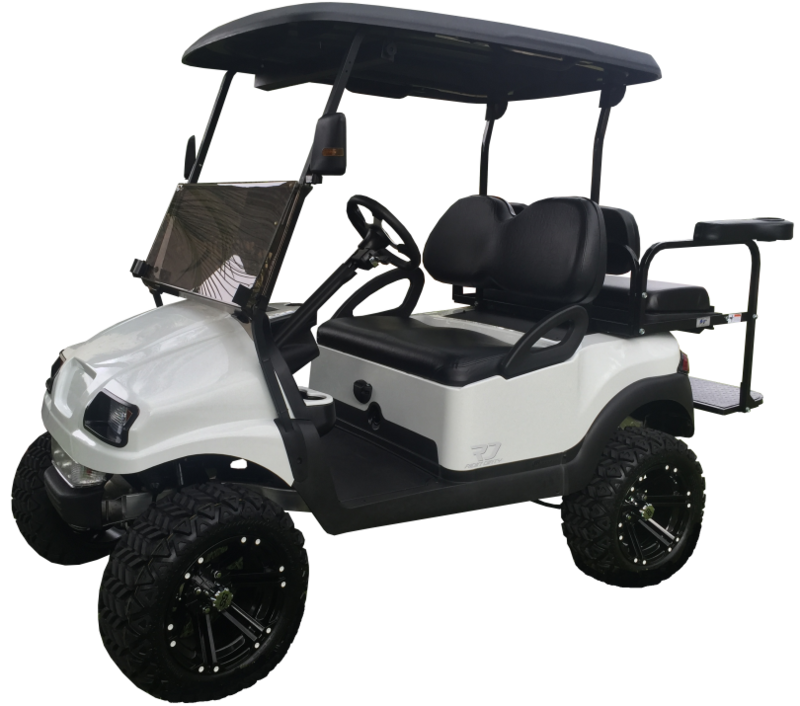 Custom, built to order golf carts at budget-friendly prices. Why pay more? Unlike many of the websites and shops that sell golf carts and parts, at RD Golf Carts we are hands-on golf cart builders, not salesmen that don’t get their hands dirty. When you call and talk to us you are talking to the builders of every one of our golf carts. We make custom carts affordable! RD Golf Carts custom golf carts are built to order. Everything you want, at a price that crushes the competition. No more stressing about making it around the neighborhood or around the golf course. RD Golf Carts has the best prices on premium golf cart batteries. RD Golf Carts can maintain and repair your golf cart or provide you with the parts you need to do it yourself. Got a broken cart?.. Not anymore! Most RD Golf Carts are built to order, but we always have a couple with the best and most popular options ready and waiting for a new home.